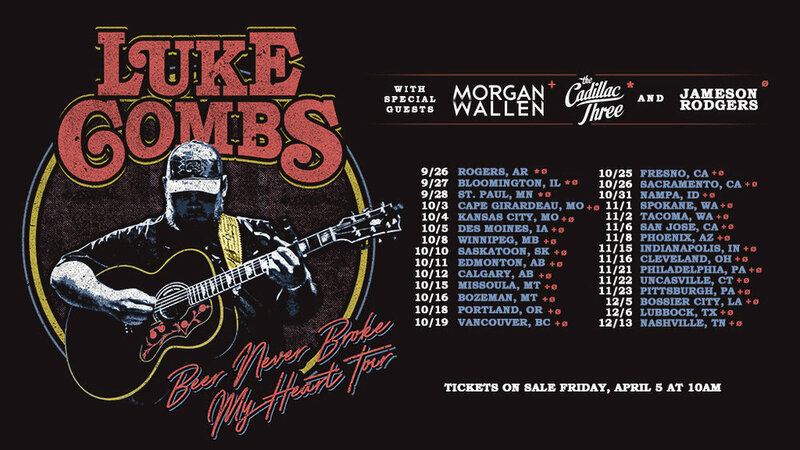 Hold onto your hats, Luke Combs is blowing into St. Paul’s Xcel Energy Center September 28 with his Beer Never Broke My Heart tour! With the chilly weather this weekend, September may sound like a long way away, but now is the time to register for your chance at tickets. Registration closes Sunday at 9 p.m., and seats are expected to disappear quickly. Buying presale tickets for this show is a multistep process. Here’s what you need to you know to be verified and try to score your seats. Head to the Luke Combs website and sign up to be a Bootlegger. Not only is it free, you’ll be the first to know about photo opportunities, tour dates and all things Luke Combs. If you’re already a Bootlegger, check your email for presale links. Once signed up, you’ll be prompted to verify that you’re a Bootlegger fan and your Ticketmaster account. Verification seems like an extra step, but it helps to keep tickets in the hands of fans and cuts down on the number of bots and scalpers. Now that you’ve verified your account, it’s time to sit back and re-listen to the This One’s for You album while sharing this information with your favorite concert buddy to maximize your ticket chances. On Monday night, check your email to see if you have a Ticketmaster email confirming you’ve been verified as a fan and selected for the presale. Verified ticket presale begins Tuesday at 10 a.m. and is capped at eight tickets per code. If you see any tickets or codes online before the presale, stay away. No verified tickets for the show will be sold before the ticket sale on Tuesday. Not selected? General ticket sales start Friday, April 5 at 10 a.m. and follow The Country Source and Twin Cities Country Music for the latest concert information.